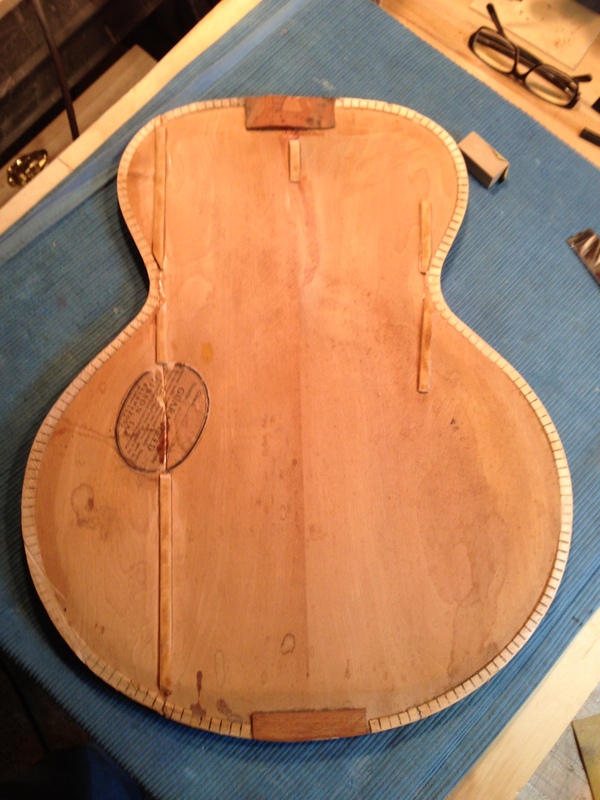 A Rosenblatt guitar of your own. “The Bridges” Sitka and Rosewood. Theres always something going on in my little workshop. 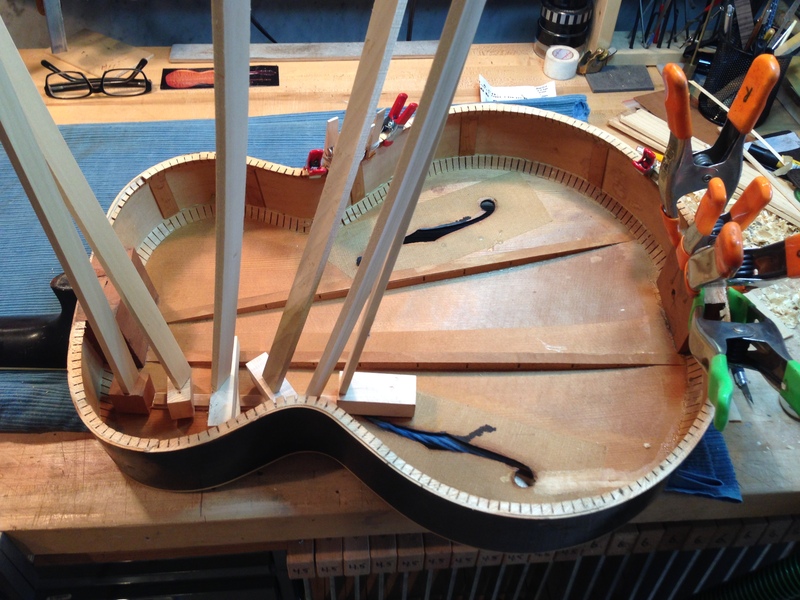 Most times it working on an acoustic guitar in one phase or another. The past few months have been a mix of completing older projects, getting new builds to the finishing shop, keeping repairs flowing and new ideas in the works. 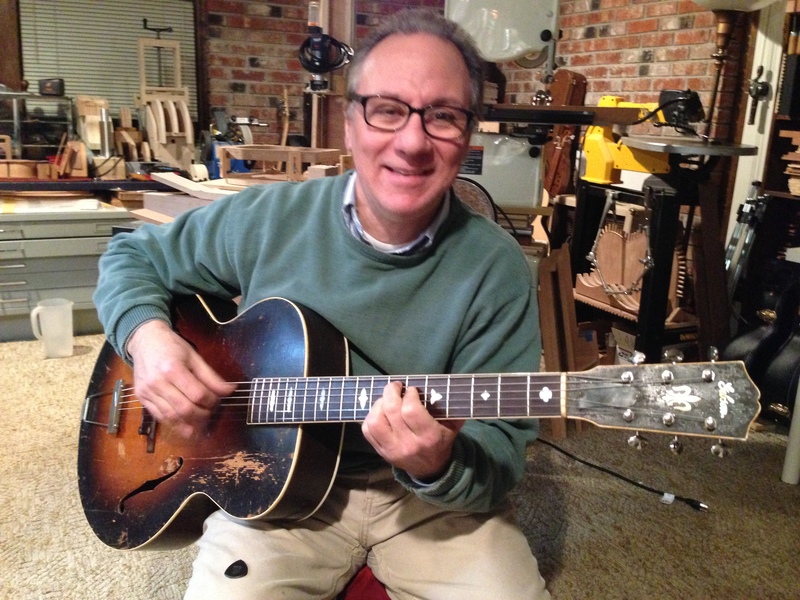 Of a very most recent and interr=esting repair I have received was a 1937 Gibson L-4 acoustic arch top jazz guitar. 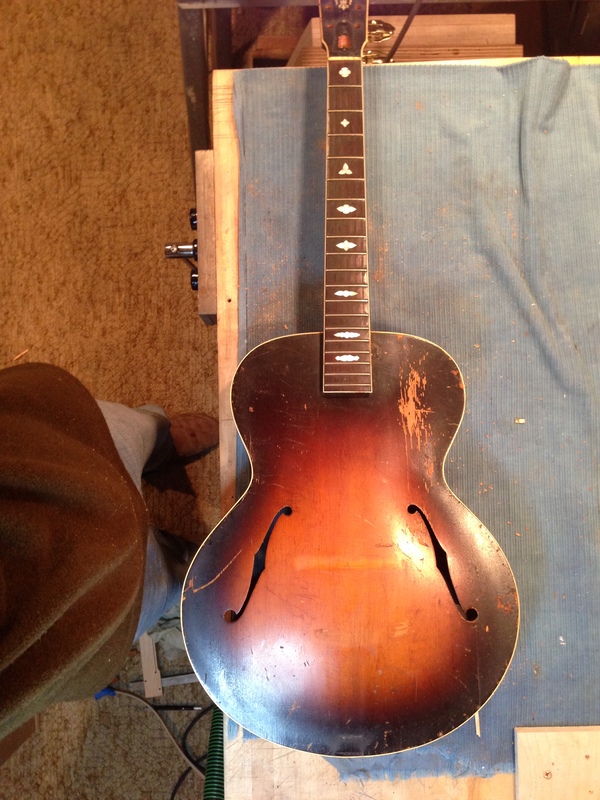 This instrument came to me in pieces and hadn’t been played in twenty years, left unchecked in an attic the back was split down the length, the sides expanded outward from 20 years of no support and the top and sides had many cracks and splits. 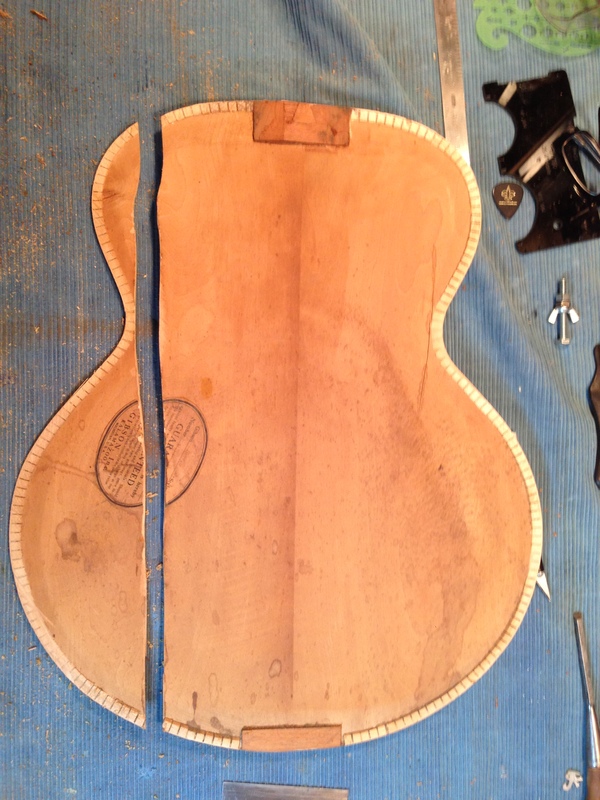 The good things was the neck was still secure and the fingerboard salvageable. After removing the back pieces I was able to re-glue the two halves together. 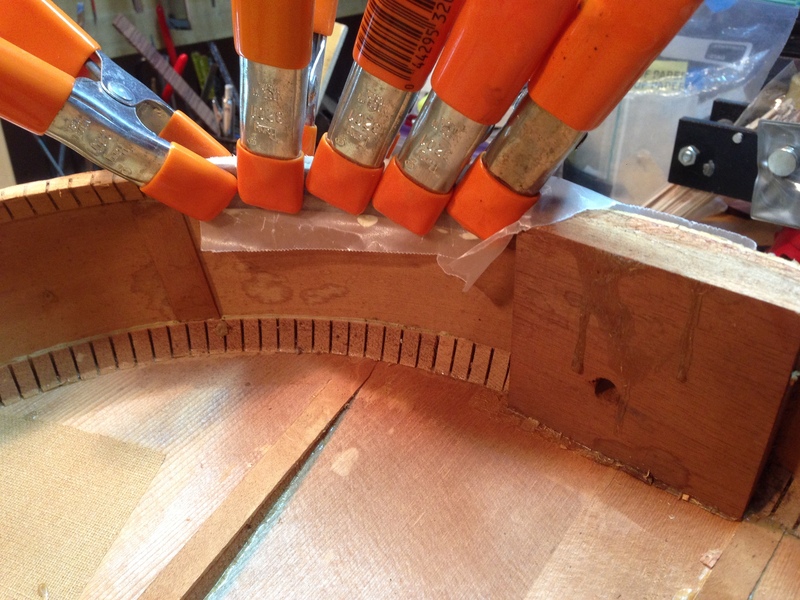 I then ran a strip of maple along the inside of the length of the break for additional strength. 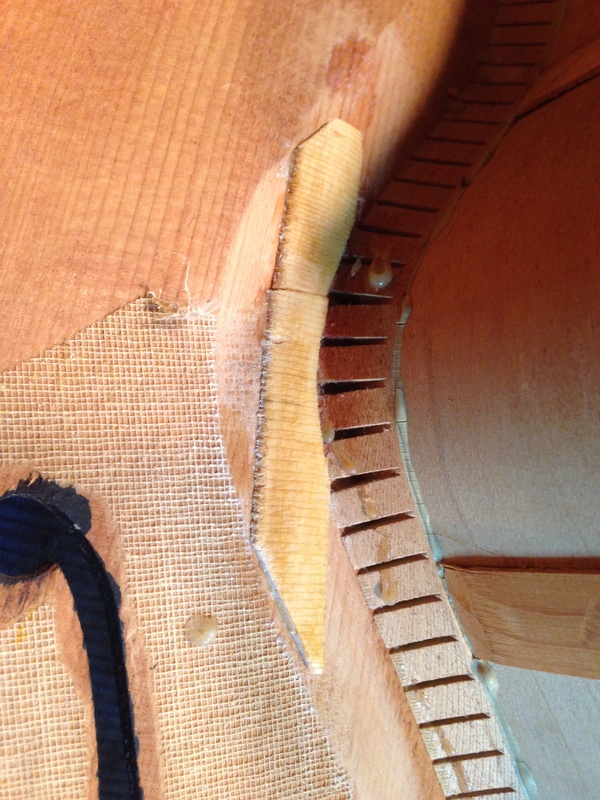 The interior cracks were re glued and cross strips of spruce were added for support. the sides were pulled back together and cracks repaired. 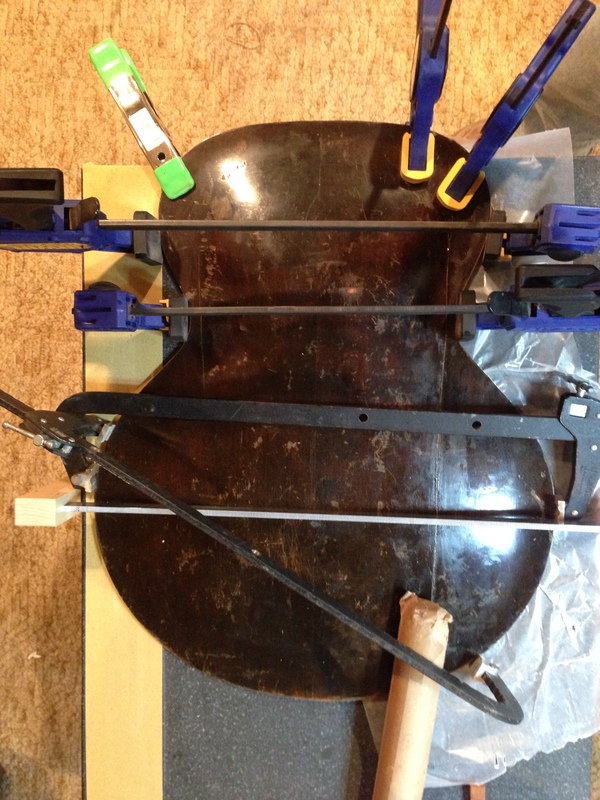 The back was re-attached and new binding replaced. And a very happy customer! 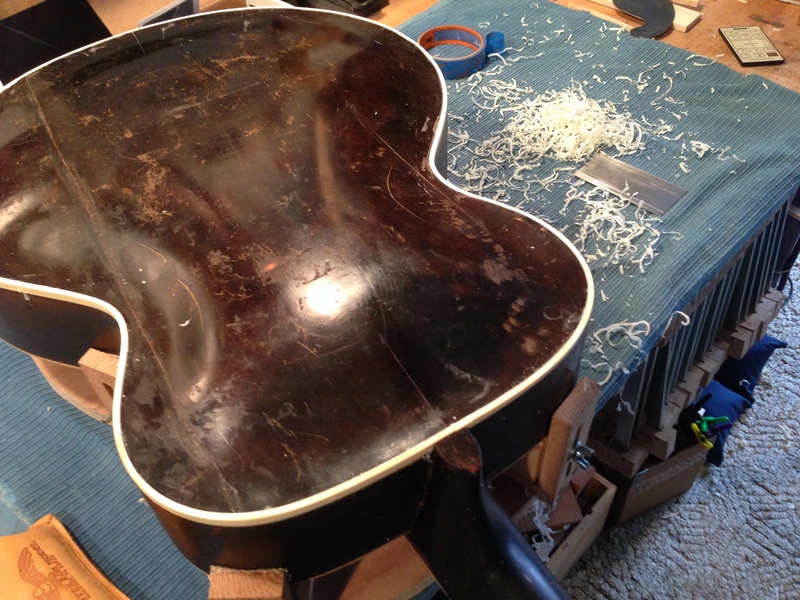 Tagged acoustic guitar repairs in New Jersey, Gibson archtop repair, Gibson L4 1937 archtop guitar, repairing body cracks on a Gibson 1937 L-4 Archtop. 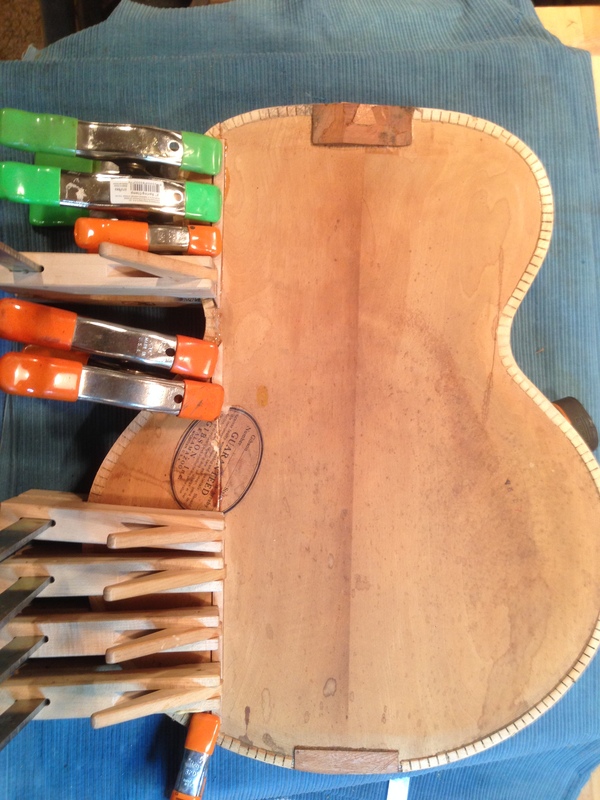 Guitar Building Presentation at the NJWA woodworking meeting. Content and photography on this blog is copyright protected, © Jay Rosenblatt and Jayrosenblattguitars.com, 2017. Unauthorized use and/or duplication of this material without express and written permission from this blog’s author and/or owner is strictly prohibited.